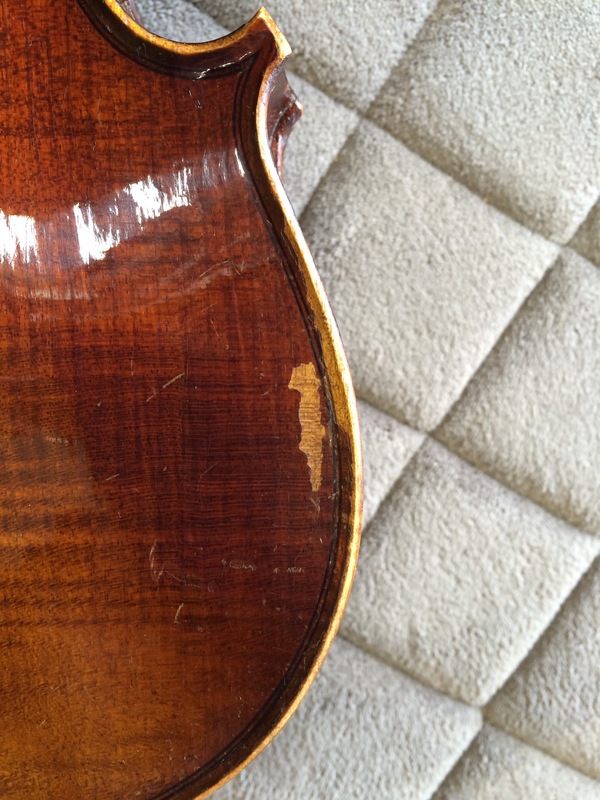 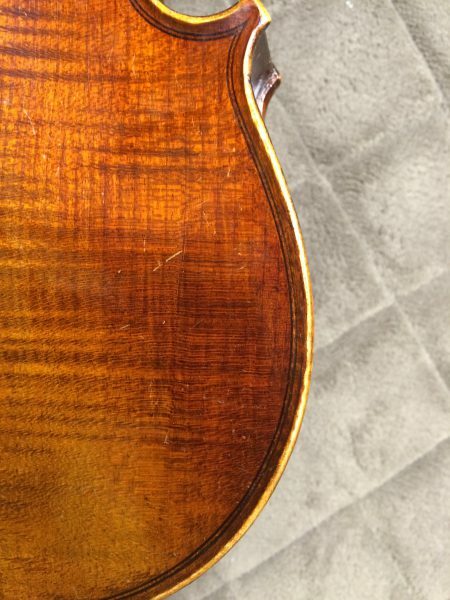 This old violin suffered some varnish loss on each side of the lower bout on the back due to some form of shoulder rest abrasion. 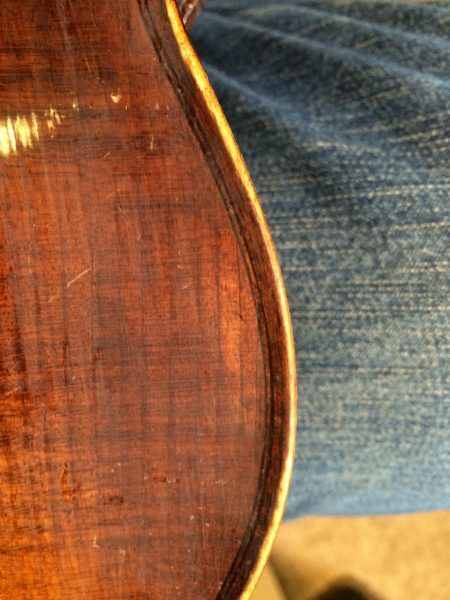 With the base colour established layering varnish/colour begins with close attention to retaining the detail of summer/winter grain lines. 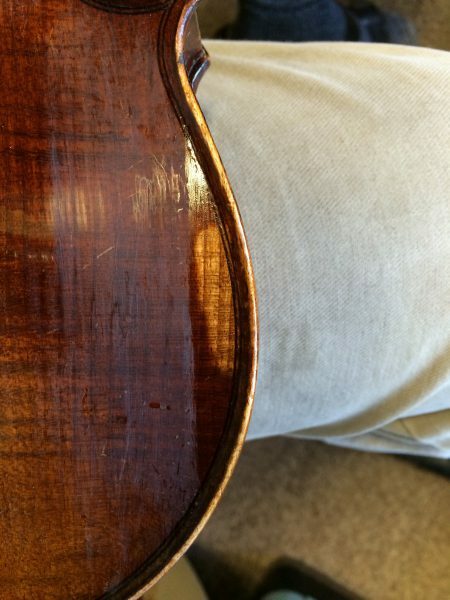 Getting close, light sanding between layers and reducing the table edge thru new colour to mimic natural wear.